The affordable volume represents the largest collection of Satie piano works available. Includes 17 pieces in all by the French composer and pianist, including his most famous piece, Gymnopédies, as well as Sarabandes, Poudre d'or, En habit de cheval, and Morceaux en forme de poire. Painstakingly reprinted from the original French editions. This volume is the largest collection of Satie's piano works yet published, including some of the most original and appealing achievements of a turbulent era in music, compositions that influenced such modern masters as Ravel, Milhaud and Poulenc. 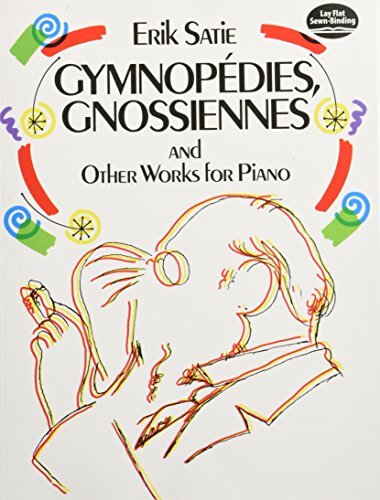 This delightful collection includes the well-known Gymnopedies, Gnossiennes, Sarabandes and much more.